Roberta Firstenberg had long loved walking outside and caring for her garden. However, a hard battle with cancer had weakened her so that going outside was no longer possible. 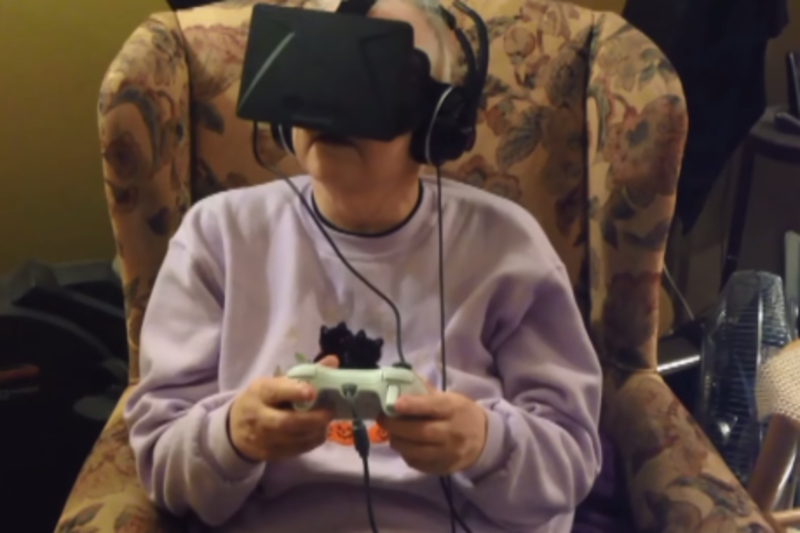 In a bid to give her one more view of the outside world, Roberta's granddaughter Priscilla, a game artist and developer, programmed an Oculus rift to give her grandmother the chance to walk again. It is one of those times when two totally different things meet, and they combine into something genius and awesome. Thank god, there are people who can think like this.